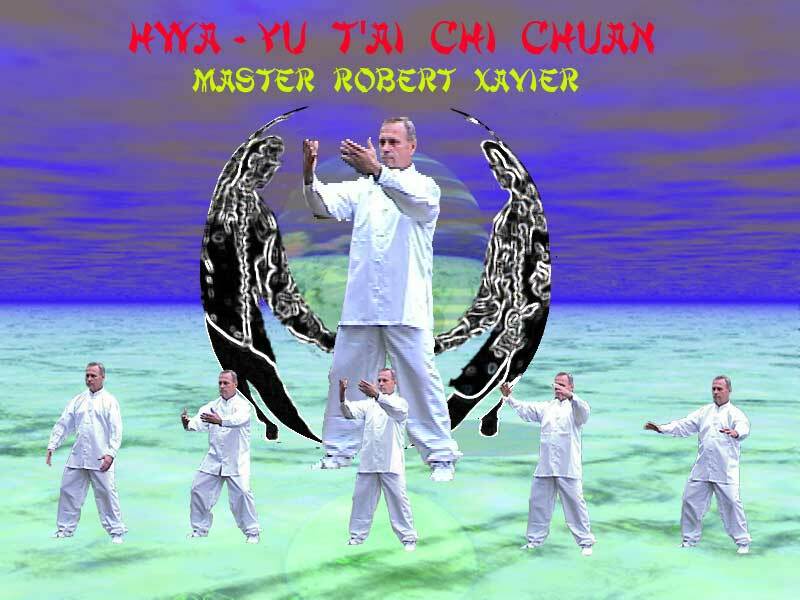 8th Degree Black Belt, Robert F. Xavier, Lineage Holder, of Yon Chuan Martial Arts and Hwa-Yu T'ai Chi Chuan, which is one of the oldest most authentic Temple Style T'ai Chi martial art health care sciences in the world. He has been a serious student, teacher and proponent of martial art healthcare science since the early 1960's. He has introduced both Hwa-Yu T'ai Chi and Yon Chuan Martial Arts to many universities, colleges and private schools throughout the country. He produced Confident Kid Martial Arts (CKMA) films for national distribution to elementary and secondary schools and taught CKMA in some of the most elite prep schools in America. School Recommendations: Yale, Harvard, MIT, BU, Uconn, Colorado College, Choate, Pomfert, Rosemary Hall, Ethel Walker's, Miss Porter's, Saint Margaret's, Marvelwood, St. Thomas More, Marianapolis, Foreman, Wykemham Rise, Gunnery, Mcternan, Rectory, Academy of the Holy Family, St Stephens. In 1975, Master Instructor Xavier was awarded the prestigious Hwa-Yu T'ai Chi Chuan Instructor's certification by the Internationally acclaimed Grand Master John Chung Li of the Hwa-Yu T'ai Chi Health Institute in Chinatown, Boston. In 1976, with the assistance of Dr. Joseph Sheenan, Head of Research at the University of Connecticut School of Medicine, Mr. Xavier assembled a research committee of cardiologists, general internists and department heads of physical therapy to examine scientifically the physiological and psychological benefits of Hwa-Yu T'ai Chi Chuan. In 1980, Mr. Xavier was awarded an Eighth Degree Back Belt in Yon Chuan Martial Arts at Yale University, for his keen knowledge of sophisticated self-defense applications and for his contribution to Martial Art health care science. Master Instructor Xavier is one of the very elite Master Instructors in the West certified to instruct the carefully guarded ancient Chinese Temple Style healthcare treasures of Hwa-Yu T'ai Chi Chuan. Hwa-Yu T'ai Chi Chuan was formerly known as Lop Hop Pak Fat, Swimming Boxing, Idea Six Combination, Idea Spiritual Kung-Fu which originated during the Sung Dynasty (960-1279 A.D.) by Taoist Monks. Master Xavier is the author of the 3-Zone Police Defense manual. He combined the best principals of T'ai Chi, Aikido, Karate, Judo, Jujitsu into the highly effective 3-Zone Defense System. These methods have been field tested successfully and used by professionals to help standardize defensive tactics for Law Enforcement throughout the country. After having his Three-Zone Defense programs evaluated and endorsed by the Governor's Committee on Fitness, he received educational grants to develope training films for public schools to distribute nationally. A native of New England, Mr. Xavier has served as the Martial Arts Education Resource Clinician for the New England Association for Health, Physical Education and Recreation for five years. Master Xavier has dedicated over 35 years to working with young people and adults, both as a martial Arts healthcare educator and Chaplain. He has also been instructing Confident Kid Martial Arts at the Saint Stephen's Episcopal School in Bradenton, Florida. His future goals are to provide both Confident Kid Martial Arts and T'ai Chi healthcare for young people and adults in the Greater Tampa bay area. The above picture is Master Xavier. I took these pictures from the preparation/beginning of Hwa-Yu T'ai Chi in late December 1999. I have been a student of Master Xavier since July 1996. I am very thankful to have had such high-caliber instruction from this very accomplished Martial Artist.